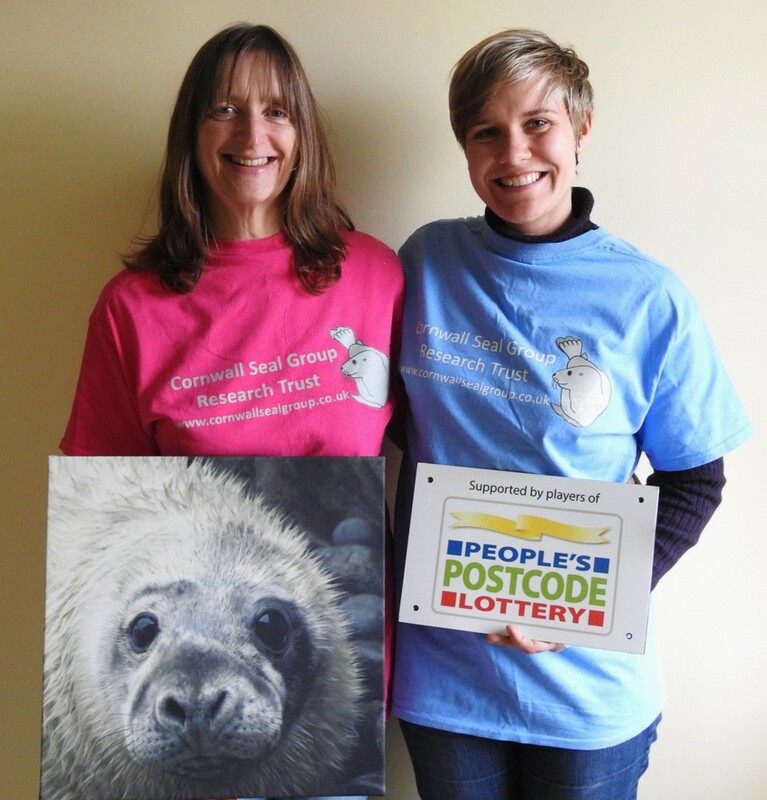 This year Cornwall Seal Group Research Trust has received their biggest grant yet! The Postcode Local Trust awarded us a fantastic £19,300 to run our Seal Squad XP (Xplorer Programme) Roadshow in 2018. Thanks to players of People’s Postcode Lottery, CSGRT will be able to have a dedicated Amazement and Discovery Ranger. We are currently resourcing a touring mini exhibition to inspire people at events. We hope members of the public and local marine and community members will be excited to discover our astonishing stories about our seal celebrities. CSGRT are working towards setting up self-sufficient hubs of seal experts around the coast to link up with the core team at head office as this will secure our long-term future in a newly established resilient network. Sue Sayer, chair of Cornwall Seal Group Research Trust says ‘Our Postcode Local Trust grant is helping CSGRT realise things that haven’t previously been possible in our 18 years of existence! 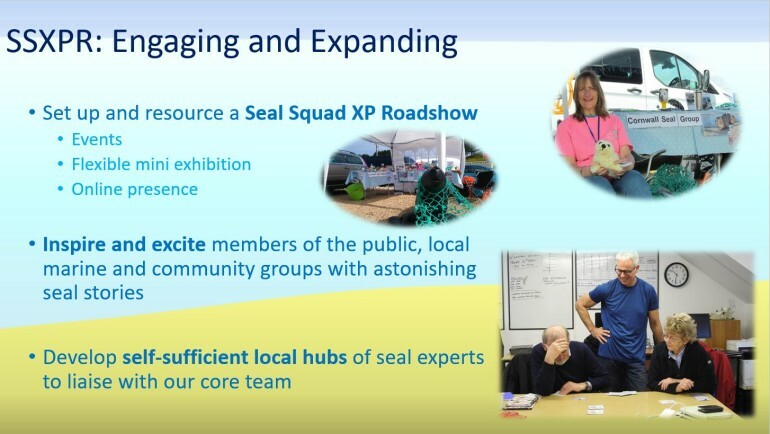 Running the Seal Squad XP (Xplorer Programme) Roadshow, ranger Marion says ‘our generous Postcode Local Trust grant has enabled us to create an exciting mini touring exhibition with eye catching informative banners, engaging activities alongside free talks and training sessions! Sue agrees ‘This grant is life changing for our precious seals (who along with Choughs are a Cornwall speciality species), enabling us to put them on everyone’s agenda and giving seals a voice in a world where money talks. Players of People’s Postcode Lottery have raised more than £272 million to date for over 4,000 good causes across Great Britain and internationally. A minimum of 32% goes directly to charities. Grass-roots projects like CSGRT’s are encouraged to apply for a grant, of between £500 and £20,000, from players of People’s Postcode Lottery biannually.